The Encina Hills project (also known as the Harper Canyon subdivision) would create 17 lots on 164 acres along Highway 68. Lots would range from 5 acres to over 23 acres. The project applicant is Harper Canyon Realty LLC. The project (as approved) proposes to subdivide one 344 acre parcel into 17 single-family lots on 164 acres with one 180 acre remainder parcel. 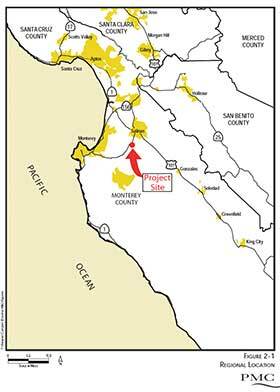 The project is governed by the policies of the 1982 Monterey County General Plan. Judge Wills issues an Intended Decision and rules in favor of LandWatch in August 2018. LandWatch filed a lawsuit against the County of Monterey for its approval of Harper Canyon in April 2015. The Board of Supervisors approved the project with a 3-2 vote in March 2015. 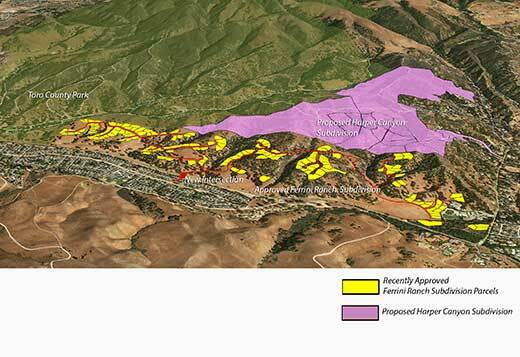 The Monterey County Board of Supervisors (241K PDF file) guided by the County’s Staff Report (191K PDF file) will meet to discuss the Encina Hills project on December 2, 2014. The Notice of Preparation was circulated for 30 days in July 2005. This project is a text-book example of suburban sprawl. The water supply and quality in this area are already in crisis, and the Encina Hills project would exacerbate existing traffic problems without offering any meaningful mitigation. 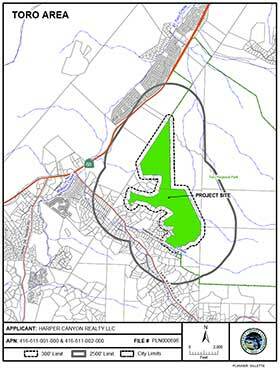 The project includes development on slopes greater than 30% and removal of 79 coast live oak trees. As part of our legal proceedings on the Harper Canyon case, we’ve complied the court documents. Sometimes our partners engage as well and we capture their input into the process. For this project, below are the relevant items. As you may recall the Monterey County Planning Commission wisely turned down the Encina Hills/Harper Canyon development proposal in January. The land owner appealed the decision to the Board of Supervisors. Through numerous letters commenting on the development proposal, LandWatch outlined the project’s deficiencies, including: poor planning, lack of water supply and steep geologically uncertain slopes.